Nearly 300 years ago, the first meerschaum was carved by hand.Today artisans continue to create wonderful sculpture items and smoking pipes by using this stone. Almost 50 years in Business. We have started the business in 1963 with a small company in Eskisehir / Turkey.Eskisehir is the mainland of meerschaum material.The purest and most quality meerschaum is mined ONLY in Eskisehir in the world. Then our business has grown and we have been selling our meerschaum pipes all over the world since 1963. We are manufacturer and therefore we keep the advantage of selling our museum quality pipes from very reasonable prices. Now company has 3 main locations.One is sitauted in Eskisehir/Turkey,the other one is In Istanbul /Turkey and finally we opened our new operational office in New York, USA. We now have been working with 12 master sculpture artisans to create this magnificient pieces of art. We have established a partnership with German famous pipe company Vauen to create quality briar pipes. Company is managed by two engineers, one is a engineer of Physics and one is a mathematic engineer. 1. What are the shipping options? We have one main shipping options. We ship our products with UPS Express to all over the world. If you give a PO box or APO adresses then your order will be sent with airmail. Shipping rates and time in transits details can be found here. 2.Do you deliver to all countries? Yes. We deliver to all countries and accepts all credit cards from all over the world. 3.How do I know that my item has shipped? When your order ships, we will email you a Shipping Notification email. If tracking service is available, we include the tracking number in your Shipping Notification email (if you do not receive a tracking number, then tracking service is not available for your package). 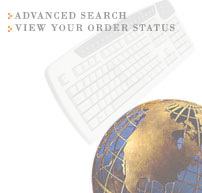 You may track your order on our website by clicking here. It's easy and secure! Just place the product(s) you wish to order in your electronic shopping cart by clicking on the “add to cart” button located below the product image. When you're ready to complete your order, click " Checkout," follow the easy instructions on completing your order, and select your payment option. Contact our Customer Experience Team via email at support@meerschaumstore.com and we will be happy to assist you with any questions. 2. If I encounter a problem while submitting my order, should I just resubmit? If you are unsure your order was properly submitted, contact our Customer Experience Team via email at support@meerschaumstore.com and we will be happy to assist you with any questions. 3. What if I have placed a duplicate order? If you feel you have placed a duplicate order, please contact our Customer Experience Team via email at support@meerschaumstore.com.com and we will be happy to assist you with any questions. 4. Can I cancel an order after it has been submitted? Yes. To cancel an order, have your order number available and contact our Customer Experience Team via email at support@meerschaumstore.com and we will be happy to assist you with any questions. 5.Which credit cards can i use ? We accept Visa , Mastercard , Discover,American Express,Diners Credit card, E-check and PAYPAL. 6.Do you use a secure system to protect our information? Yes. Our payment processor 2checkout.com and Paypal uses the latest SSL technology. All online transactions are handled safely and securely through our payment processors. 1. Is Your meerschaum pipes made of Block Meerschaum? Are they really in museum Quality? They are perfect , beautiful and without defect. All products are made in Eskisehir/Turkey where is the motherland of the meerschaum. Our products are made by Turkey's selected artisans, whose works are exhibited at various galleries in Europe and USA. 2. Does the image on your site accurately represent what I will be sent? 3.How long will it take to receive my order? If the product that you order is in our stock then it will be sent within 2 days.If the product is not in stock or if you want a customisation on the model then carving stage can take up to 3 weeks. 4. How accurate are the item dimensions listed on your web pages? MeerschaumStore.com verifies the dimensions of all images on our site, but due to industry standards sizes can vary slightly.Our dimensions are approximate and there may be some little differences. 5. Do you have any retail locations? No. We do not operate any retail locations. All of our services are provided through our web site and our central order processing facility.Please contact our Customer Experience Team via email at support@meerschaumstore.com with any questions. 6. Do you offer a printed catalog? Sorry, we are no longer mailing catalogs. Sign up for emails to receive news and discounts quicker than ever! 7. How can I be notified when you add more items to the site? It's easy. You can sign up to our maling list .when new products are added to our site so you will be notified for them. 8. What is your warranty policy? For meerschaum pipes; We give life-time guarantee for the meerschaum part of the pipe. Any damage caused by intentionally or accidentally and any damage, except bowl burnout or bowl cracks, to the pipe shank and/or mouthpiece is not covered by this warranty. THIS WARRANTY PROVIDES FOR REPLACEMENT ONLY. We DO NOT EXTEND ANY REFUND PRIVILEGE TO PURCHASERS. NO AFFILIATED RETAILER, CLUB OR PERSON MAY EXTEND ANY OTHER WARRANTY, OR MEANS OF SATISFYING THE EX . 9.What about Wholesale and Dropshipping Issues. We offer discounts to qualified wholesale and corporate customers. For Wholesale and dropshipping issues please contact support@meerschaumstore.com.